Preheat oven to 400°F. Wash the chicken and pat it dry. 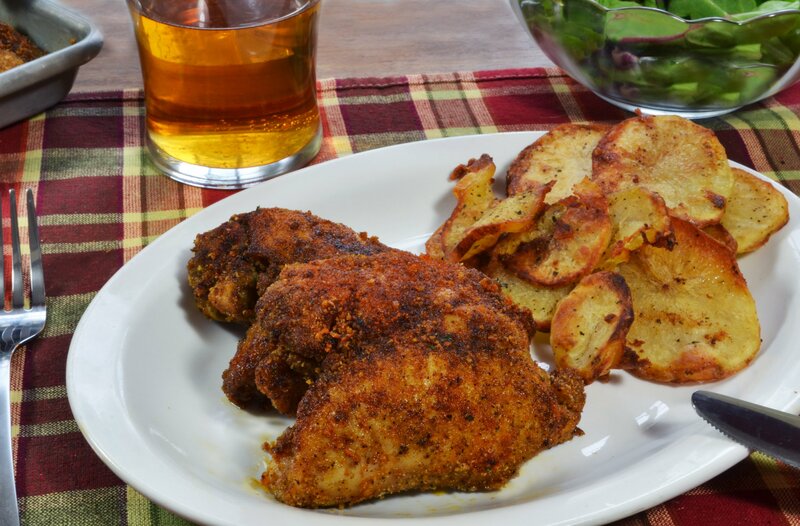 In a gallon-size ziplock bag, place the breadcrumbs, curry powder, cumin, chili powder, paprika, salt, and pepper. Shake the bag to combine. Drop a few pieces of chicken into the bag at a time. Shake the bag to completely coat the chicken thighs. Repeat until all the thighs are coated. Place the chicken on a shallow baking sheet. Cook for 20 minutes on one side. Turn the chicken over and cook for another 17-20 minutes, or until the internal temperature reads 165°F.